When Akihito sees a girl about to jump off the school roof, he surprises even himself as he races up the stairs to rescue her. Much to his surprise, the girl he saved is a Spirit World Warrior. And as a half-youmu, he’s now her prey! Akihito helps Mirai defeat one of her very first youmu! He tries to use this as his chance to become closer, but instead Mirai seems to be pushing him away! Why won’t his bespectacled beauty join the Literary Club? Mirai and Akihito must defeat the Hollow Shadow while dodging around Sakura. The youmu can not only possess people, but also create labyrinths based off their memories. If Mirai hopes to have a future, she will have to face her past! Mirai goes after a perverted youmu with an eye for human girls. When it sprays Mitsuki with its stink juice, the Literary Club must band together to defeat the powerful--and horrendously stinky--youmu! At long last, Sakura is ready to confront Mirai. Now Mirai must decide whether she will fight to live or die for atonement. What would Yui want for Sakura... and for Mirai? The Calm is coming. This is a dangerous time for youmu since it is when their powers grow weak. But what does that mean for the ultra-rare half-youmu, Akihito? And Miroku seems to be up to something. What does he have up his sleeve? According to Izumi, Akihito’s youmu transformation could be permanent! She tells Mirai that she must kill Akihito during the Calm or else he will become a powerful youmu gifted with immortality. Mirai is torn by the decision she must make. In a dream, Mirai informs Akihito of what happened during their battle and why it had to be this way. Then time jumps backwards to six months earlier. At long last, Mirai’s motives and Izumi’s plan are made clear! Akihito is beside himself when he learns that Mirai has vanished. It doesn’t help that something in town seems off, either. Akihito keeps hearing a strange sound coming from the sky that no one else can hear. Could something be up there? 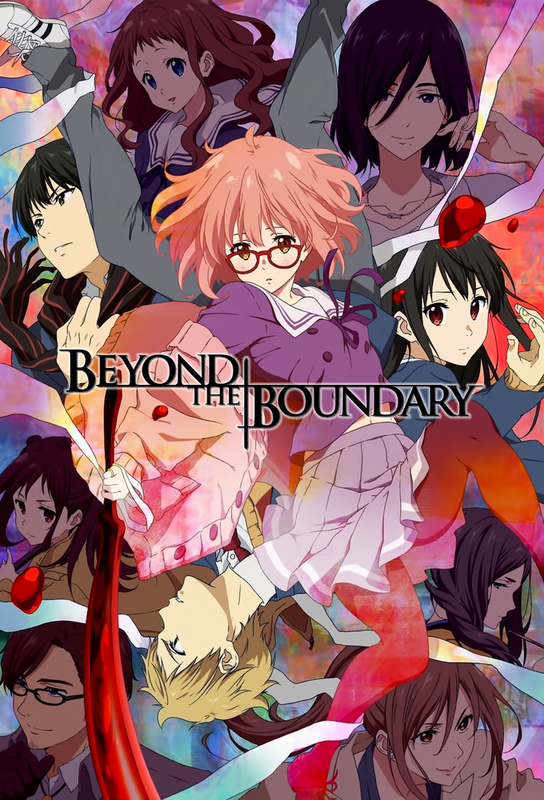 Now that Akihito and Mirai have been reunited, they must work together to defeat Beyond the Boundary’s core. But what will happen to Mirai and Akihito once it has been defeated...? Will either of them survive?